Lia Fail (Stone of Destiny) on the Hill of Tara. 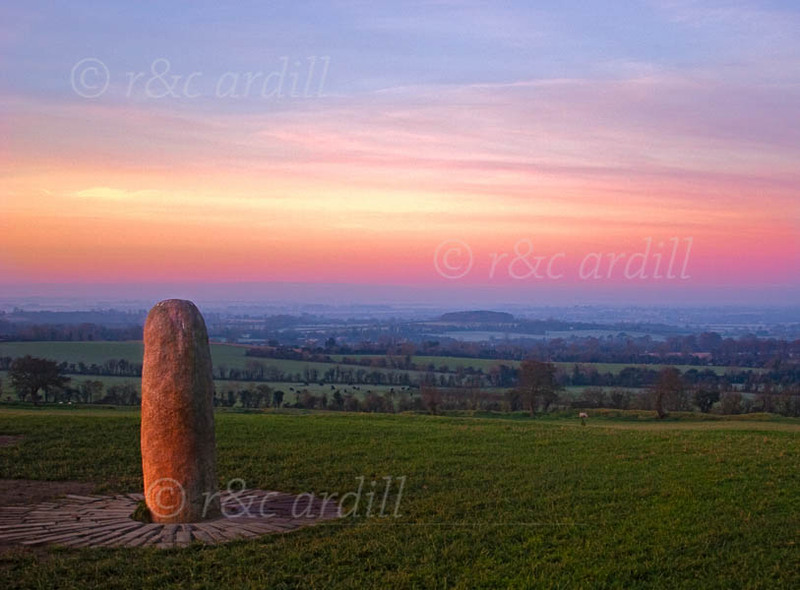 Tara includes both Celtic and pre-Celtic monuments dating back to the Neolithic period around 5,000 years ago. One of these structures, the Mound of the Hostages, has a short passage which is aligned with sunset on November 8 and February 4, the ancient Celtic festivals of Samhain and Imbolc.